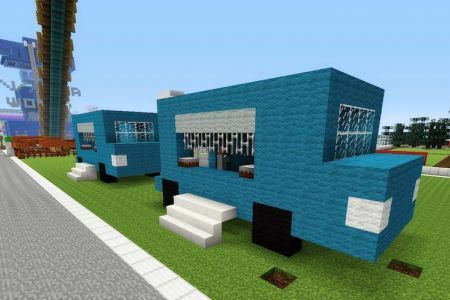 If you didn’t have one, you NEED one because not only is the food the best, but a Minecraft Food Truck in your city/town/map is just pure awesome sauce. This is probably one of the easiest builds you are going to be able to accomplish when it comes to restaurants. Short, sweet, and a cool idea for any MC map. 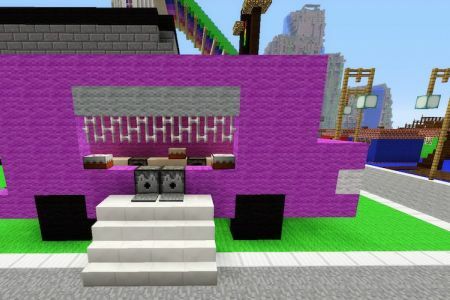 I filled my Food Trucks with Cake but you can store any food you like in there. Add dispensers for easy access. 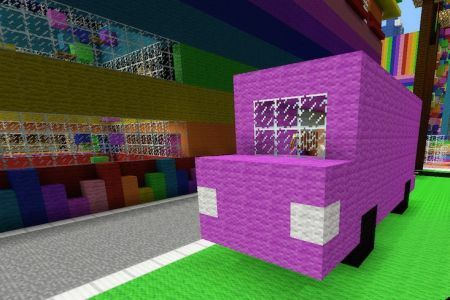 I even trapped a Villager to be a server for the truly authentic Food Truck experience. 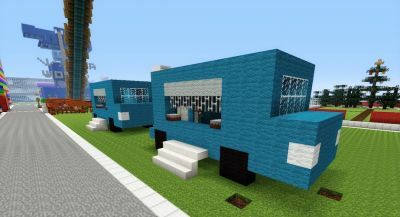 The basic design of my food truck is 14 blocks by 6 wide and 7 high. My video tutorial shows you how to make it exactly, but basically you will be creating a 10 x 6 box and adding a bumper and hood. The bumper is just 1 block high. The front hood is 2 blocks long, and 3 blocks high. 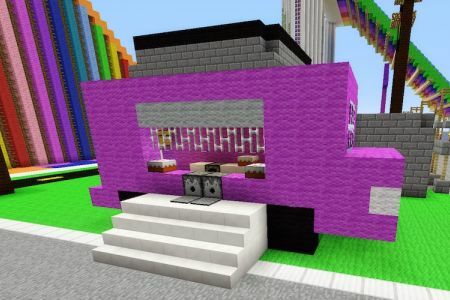 I used iron bars in my serving window to add to the overall look and to actually keep the villager trapped. If you leave a 2 block space they can climb out. 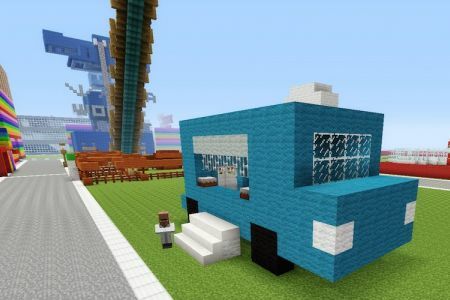 I made my food trucks out of cyan and magenta wool however you might want to experiment with iron or quartz blocks for a less colorful/more authentic looking van. Although all the cool food trucks are colorful anyway so I think my colors are perfect.